A few weeks ago a box showed up at my door. It was from Silhouette America and it was my challenge box containing four items that I would need to use to create a single project. Inside my box was: Silhouette Adhesive Washi Sheets, a roll of Silver Silhouette Heat Transfer Vinyl, Printable Cotton Canvas Sheets, and Glitter. Instantly my brain was going in 133,566,442 different directions. I finally decided that this special delivery would be perfect for another special delivery - a set of girl twins my cousin is expecting later this summer. 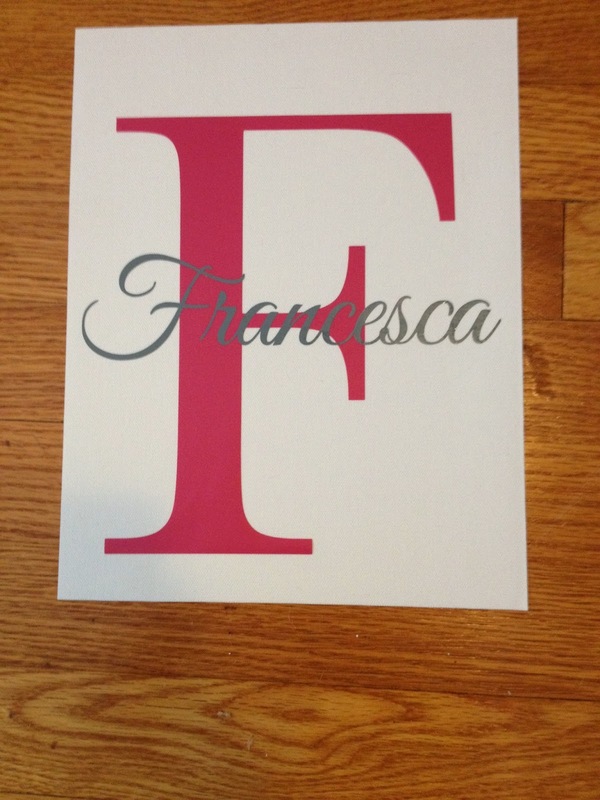 Their names will be Francesca Louise and Sofia Elizabeth and their nursery is pink and gray chevron. 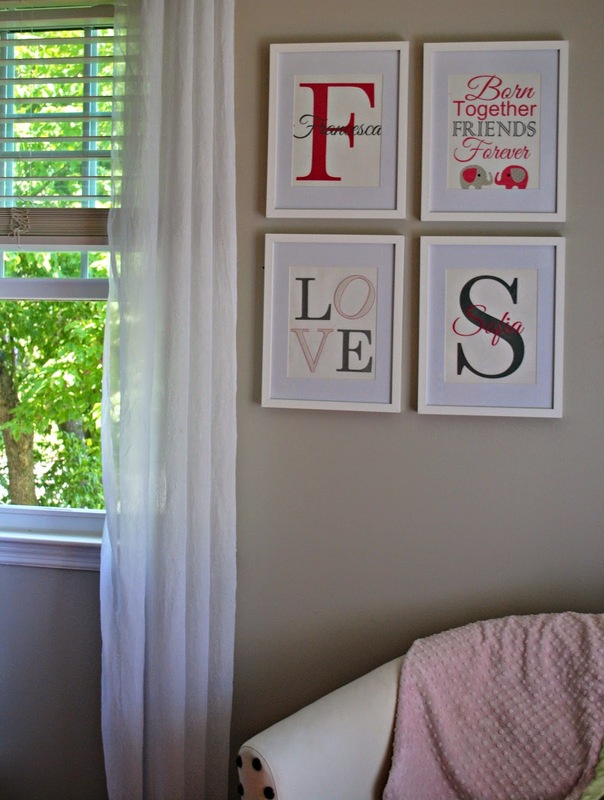 With that, I set off to make some DIY Nursery Art with my Silhouette. The cotton canvas sheets are each 8.5 x 11 which made for the perfect backing for all pieces of art that would hang as a mini gallery in their nursery. 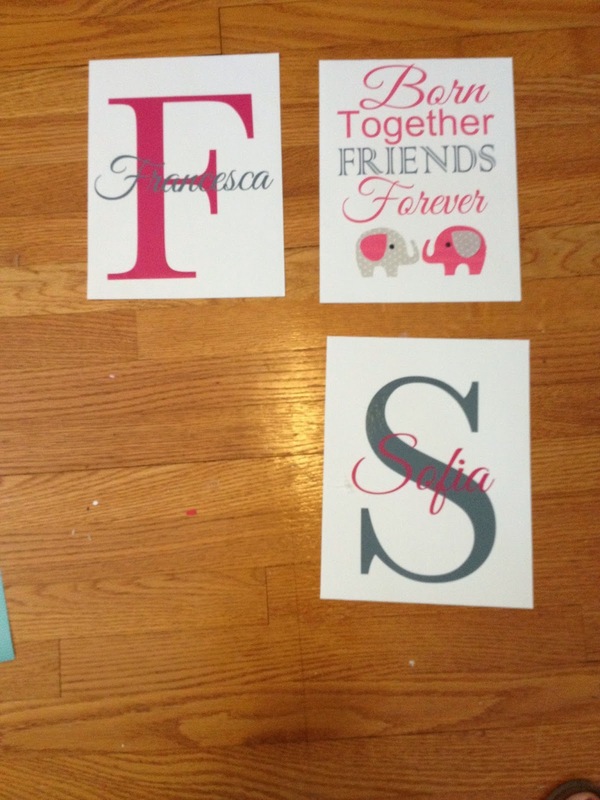 I started by cutting out the girl's monograms and overlaid names on gray and pink vinyl. Using transfer tape I moved them onto the canvas sheets with the large letter going on first and then the full name layered over top. Next I moved onto the twins quote piece. I designed the saying in Silhouette Studio playing with fonts, positions, and sized I found just the perfect combination. I filled the font with color (picking a color as close to the pink vinyl I had used as possible) so I could print it directly onto the printable canvas sheets. But before I did, I had to find the elephant. I did a google image search for an elephant and brought it into Studio to do a trace. Once it was traced I released the compound path so the ear would be a separate element. Then I did a mirror image to get the "twin". The body of one of the elephants (minus the ear and eye) was filled with the same color as the text and same goes for the other elephant's ear. 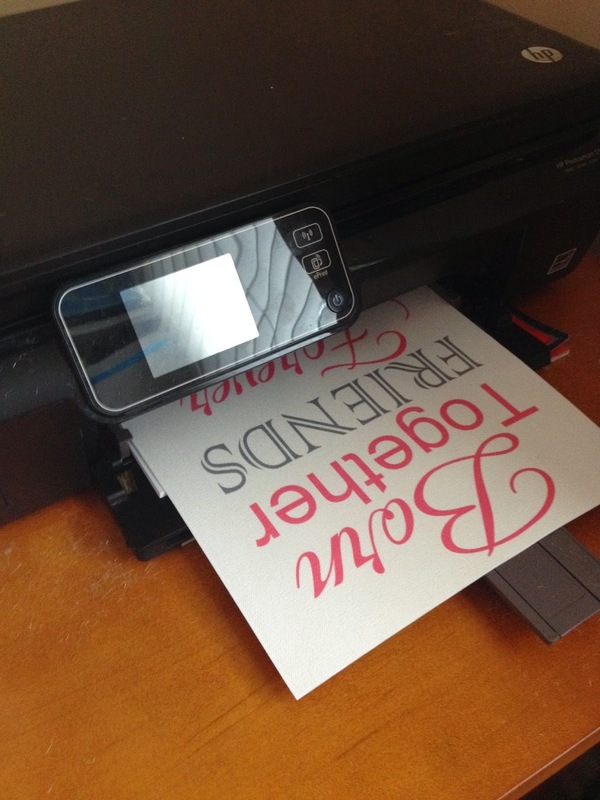 At this point I printed directly onto the canvas and the ink came out beautifully on my inkjet. Now I had to fill in the ear and the other elephant's body and I planned to do that with a piece of the gray and white washi sheet. This stuff is awesome. 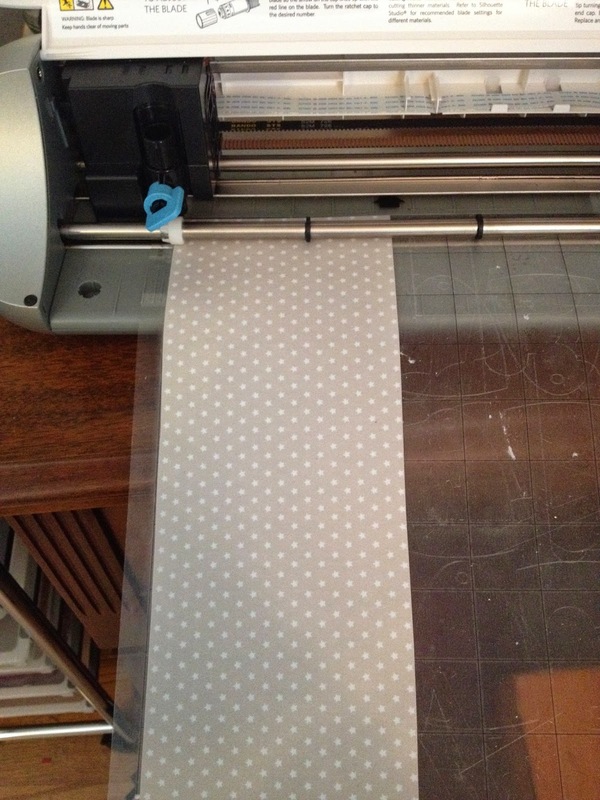 It's like Washi tape, but in large sheets that can be cut on the silhouette and then when the backing is removed it has an adhesive that will stick like the traditional washi tape. Very cool and the 9 patterns that come in the pack are all really pretty. I cut off the strip of gray and white pattern since it went beautifully with my color scheme. 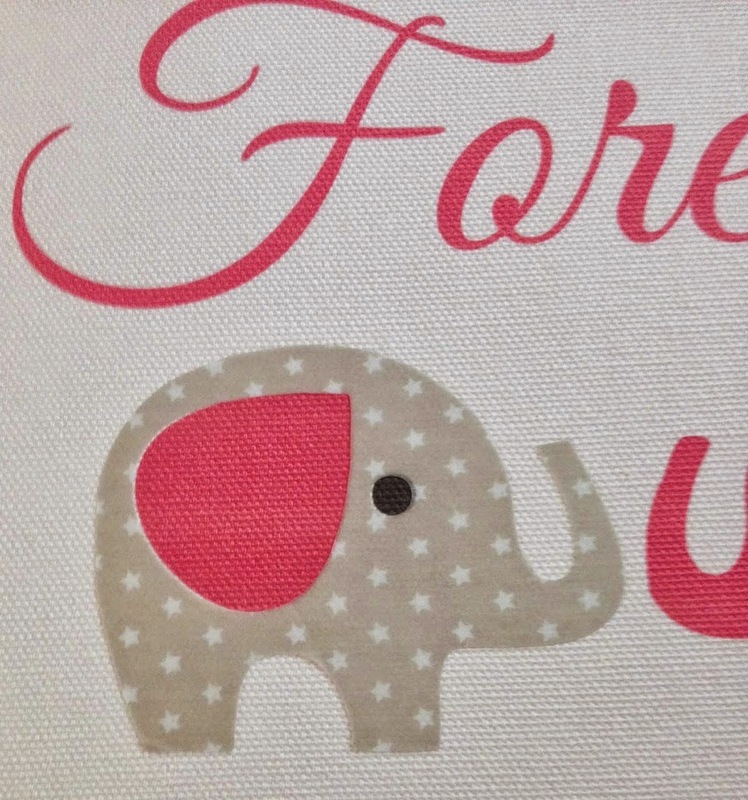 I put it directly onto my cutting mat and cut out the elephant and the ear using the default cut settings for Washi sheets in the cut style window. 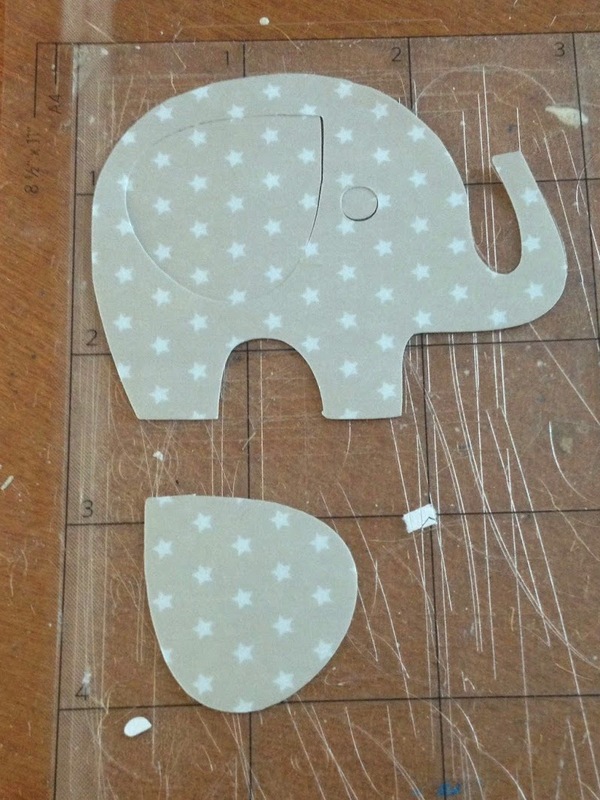 The ear and the elephant were then removed from the cutting mat. Carefully...very carefullly! 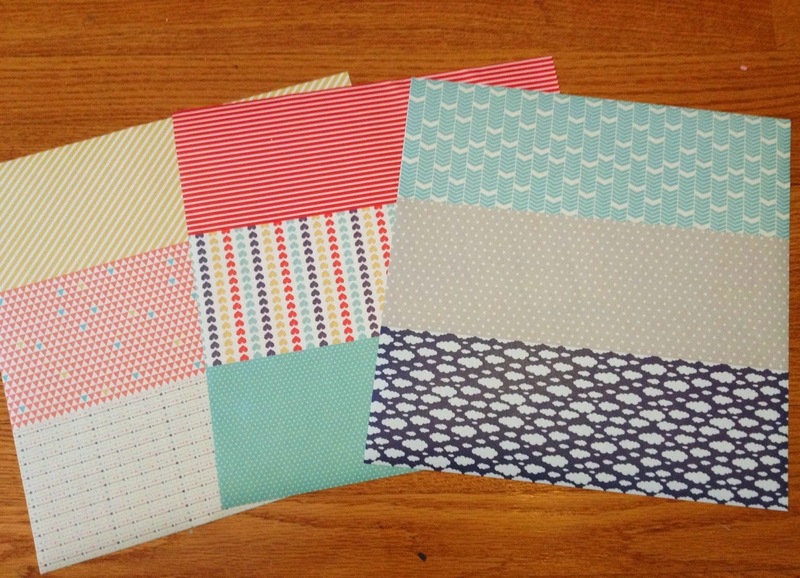 The washi sheets are very thin so be careful not to tear your design when removing the backing! 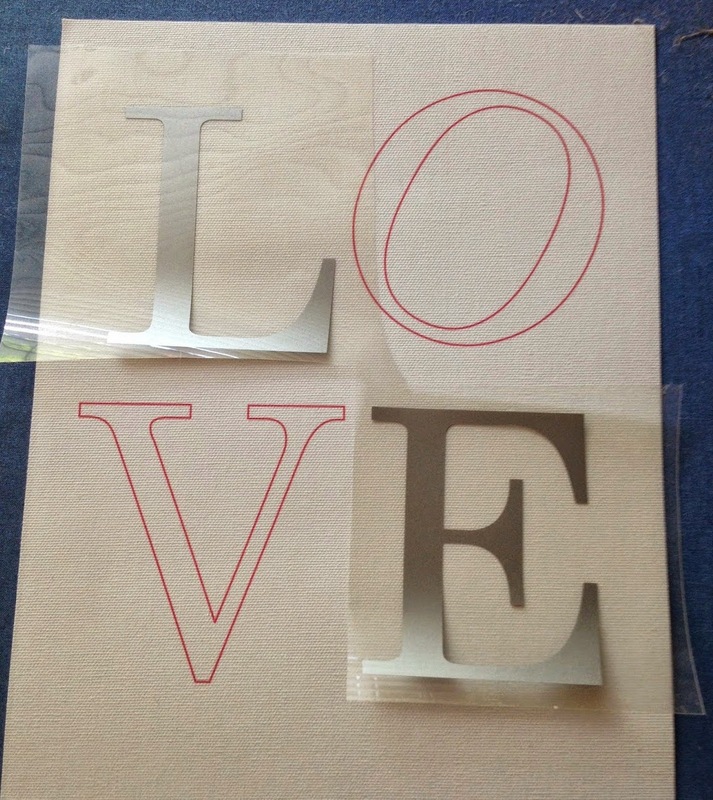 Once the backing was removed, I placed the two pieces into position. It's coming together! Now the only thing missing is the all important LOVE artwork. Since I wanted to make sure the white glitter letters would not get lost on the white canvas I did an offset of each of those letters and made the line color the same color as the text on the piece with the saying. 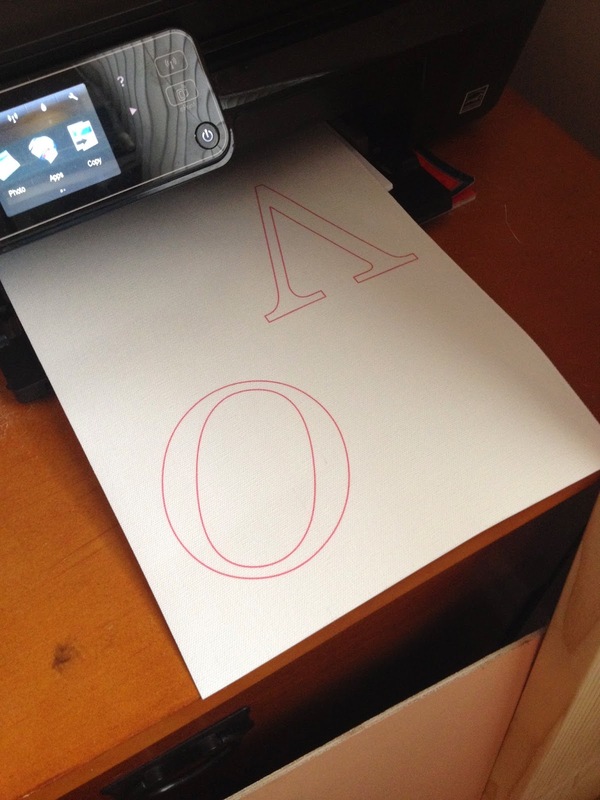 I printed the outline only first directly onto the canvas using my inkjet printer. 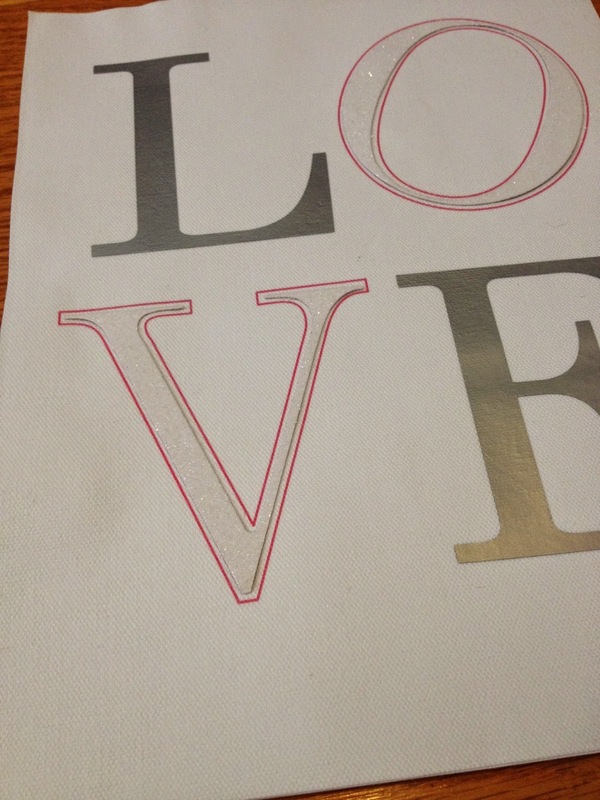 I then cut the letters that would be glittered out of double sided adhesive paper and cut the L and E out of the silver Silhouette HTV. 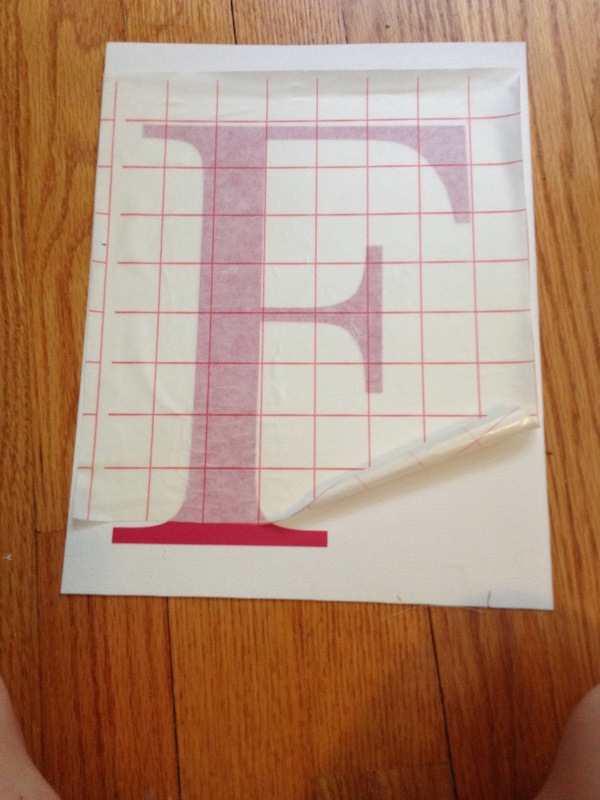 I worked with the heat transfer vinyl letters first by placing them into position and then ironing them directly onto the canvas sheet like you would with any HTV. 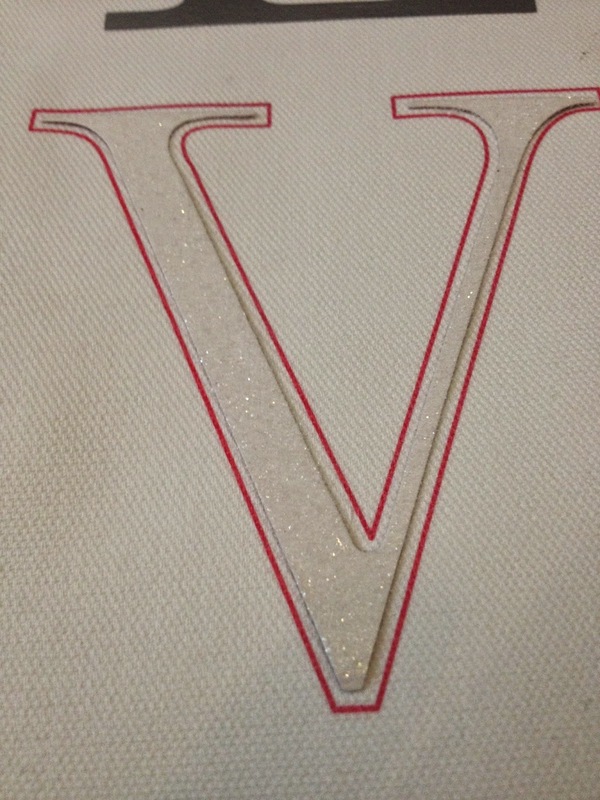 Moving onto the O and V...to get the glitter onto the letters I spread a thin layer of white glitter out on a flat surface and then "dipped" the letters into the glitter until they were completely covered. I then removed the backing and put them into place on the canvas right inside of their offsets. The white glitter is subtle, but I think that's why I really like it! I didn't realize it until after I made two of the letters silver and two glitter white, but the girl's middle initials are L and E. Just another added bonus personalization and it re-affirmed my decision to make the letters two different colors. 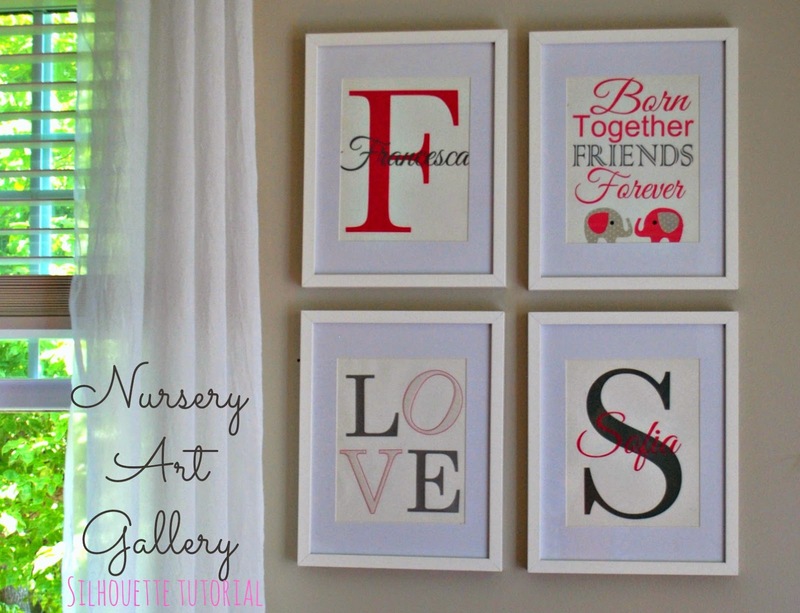 All four of the nursery artwork pieces were framed in white 11x14" frames that I got from the craft store. I think they came out beautifully and although it was a challenge to incorporate all of these specialty mediums into one project, I am thrilled with the end result. A big thanks to Silhouette America for putting me up to the challenge. Just gorgeous, my sister loved it. Did you use htv for everything or just the silver?